M'Lou Designs: Let the Christmas planning begin! So, we haven't gotten the tree out of hiding yet - as a brief aside, I have a contact allergic to pine sap, so to avoid swollen itchy hands, we got a fake tree last year. I'm looking forward to decorating this year with M'Lou as a willing participant. I can already see the tree being pulled down at some point ... maybe the breakable ornaments need to stay in their boxes this year. Anyway, I am now ramping up for a push for Christmas presents. 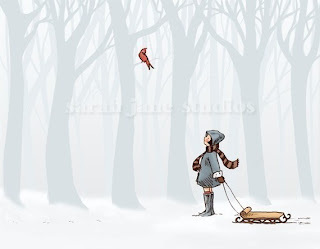 I always say I'm going to plan ahead, but it never happens - it's always all of a sudden December with no idea what happened to the other 11 months! After Christmas I'll be sure to share the gifts I'm working on, but I would hate to spoil the surprise before then. However, I will share some of the things on my wish list or that I think should be on your wish list. You can click on any of the pictures to take you to that listing or see the store links after the pictures to see even more wonderful stuff! 2. 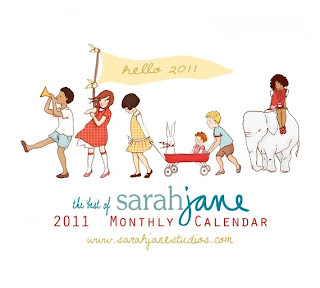 If I had more wall space or a bigger house, I would have one of everything at Sarah Jane Studios. 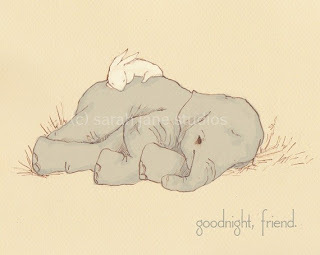 I have no words to describe how wonderful her illustrations are. They are just amazing! I did end up succumbing and purchasing a couple of her calendar single card prints - a small indulgence instead of the entire room full of prints I really want! 3. 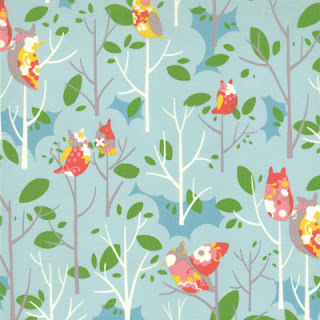 And a wish list of fabric that I have no projects for I just REALLY want! 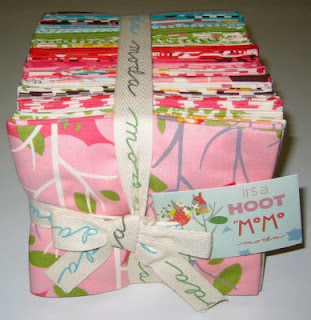 The full FQ (fat quarter) bundle for the collection ... can't you just see an adorable little girl's quilt? Yummy deep reds in this lineup - I will admit that I do have a traditional quilt pattern that would look AMAZING with this fabric, but I'm resisting ... I want you all to admire my restraint! 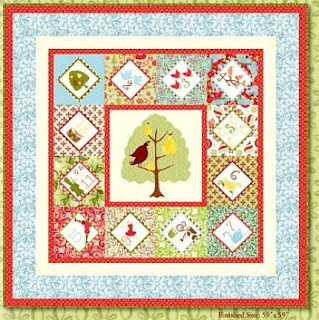 This is the Lumiere de Noel by French General FQ bundle ... another Moda line. I think I'm sensing a theme here. And this is another kit that would just be too cute for a little person. Again it's from Moda ... yep, definitely sensing a theme ... from their Punctuation line of fabrics. Also, if you buy this kit it comes in a retro metal lunch box ... TOO CUTE!! All of the fabrics above, except the Punctuation quilt kit, came from a fellow Dallas Modern Quilt Guild member's store. 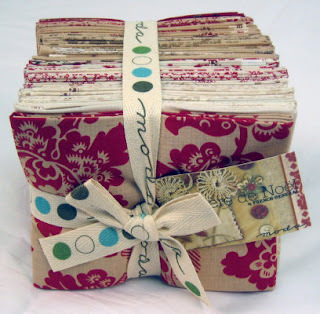 You can see more of the wonderful fabrics she carries at her store, Maricopa Fabrics. 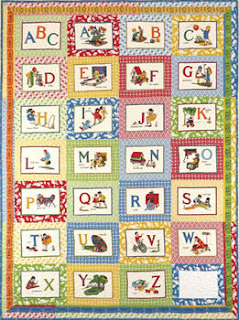 The Punctuation quilt kit came from Green Fairy Quilts. Let me know what's on your list (it may need to get added to my list)!